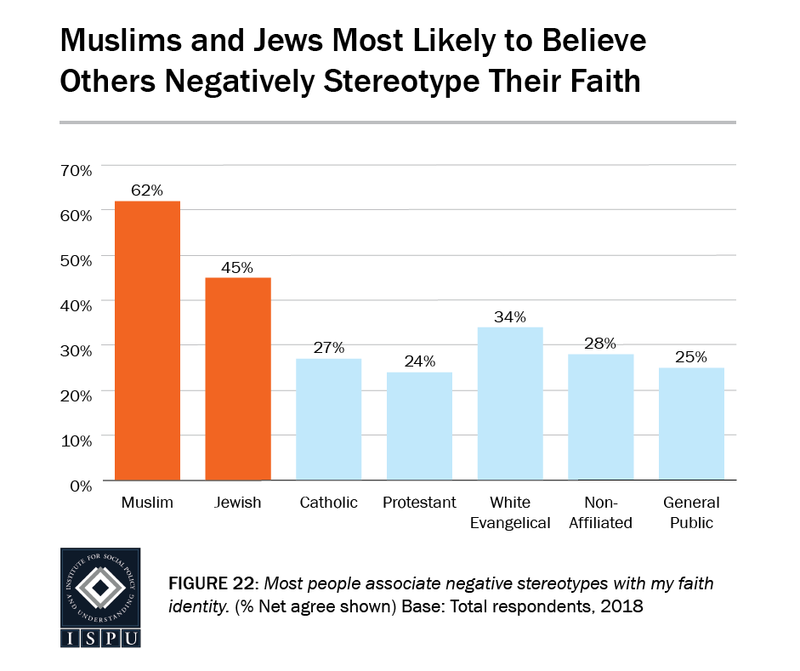 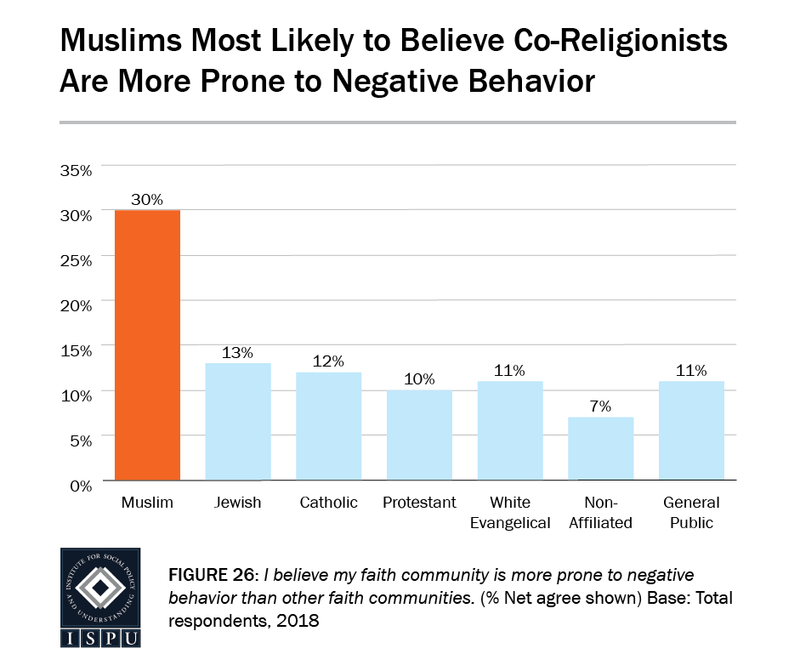 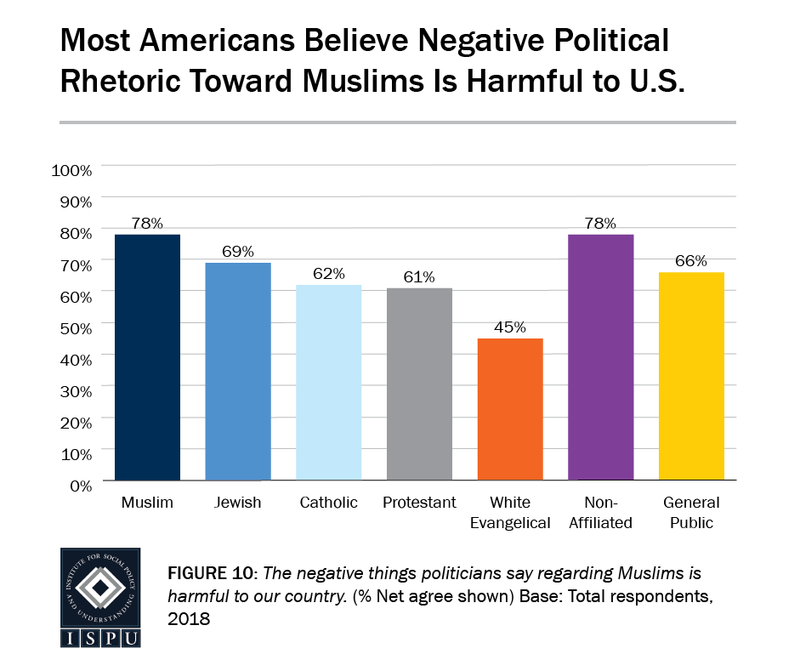 Our annual poll returns for a third year to measure the attitudes and policy preferences that impact the lives of American Muslims across faith communities, including results from Catholics, Protestants, Jews, white Evangelicals, and the non-affiliated. 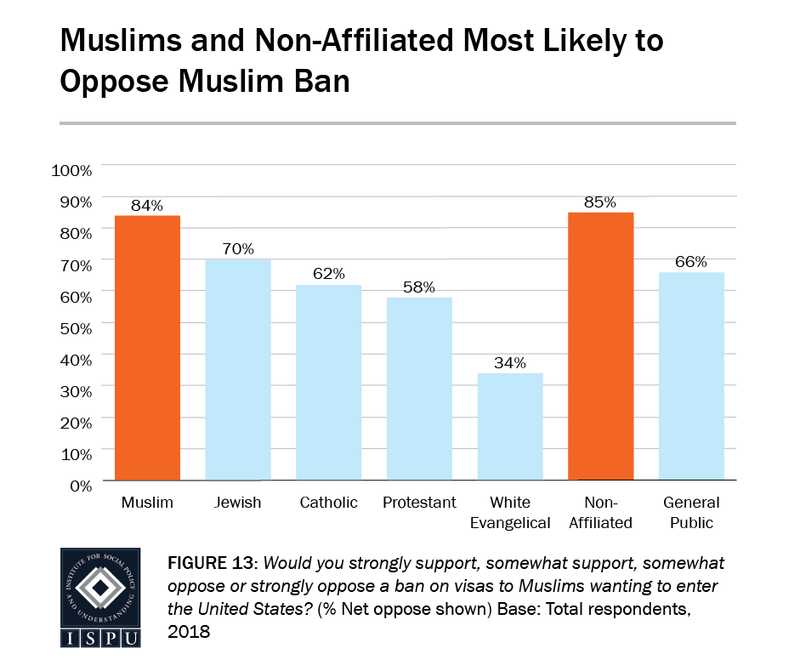 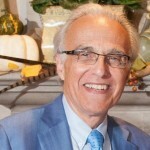 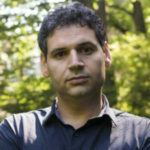 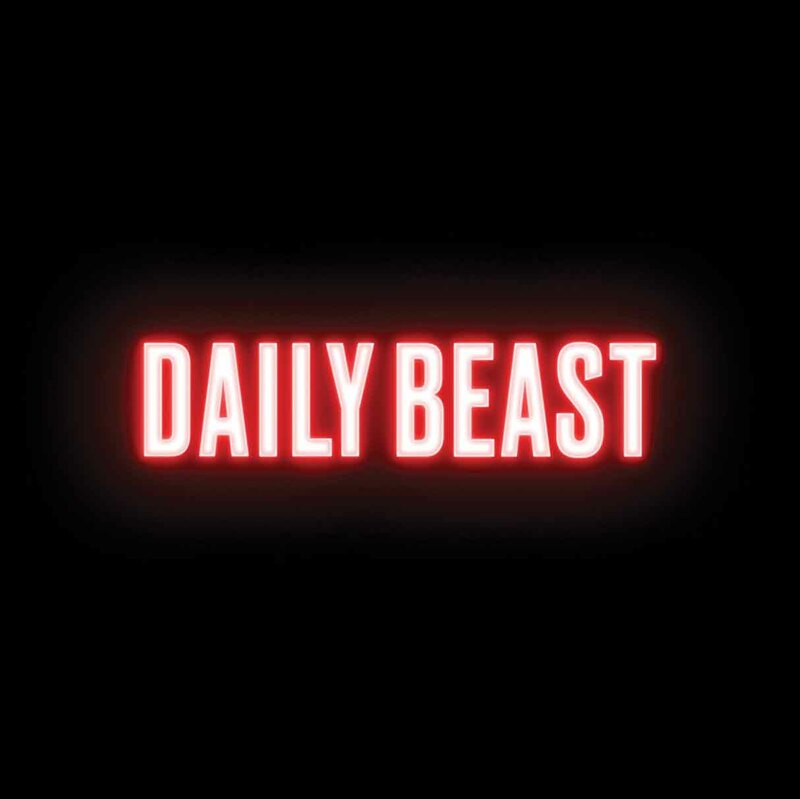 The results of this poll could not come at a more critical time, as one year into the Trump presidency, Americans have witnessed three iterations of a so-called “Muslim ban,” had their president retweet three inflammatory videos portraying Muslims as monsters, and heard him say a rally involving Nazis and Confederate symbols where one counter-protester was killed had “good people.” Americans of all backgrounds also crowded airports to protest a travel ban on people from a number of Muslim-majority nations. 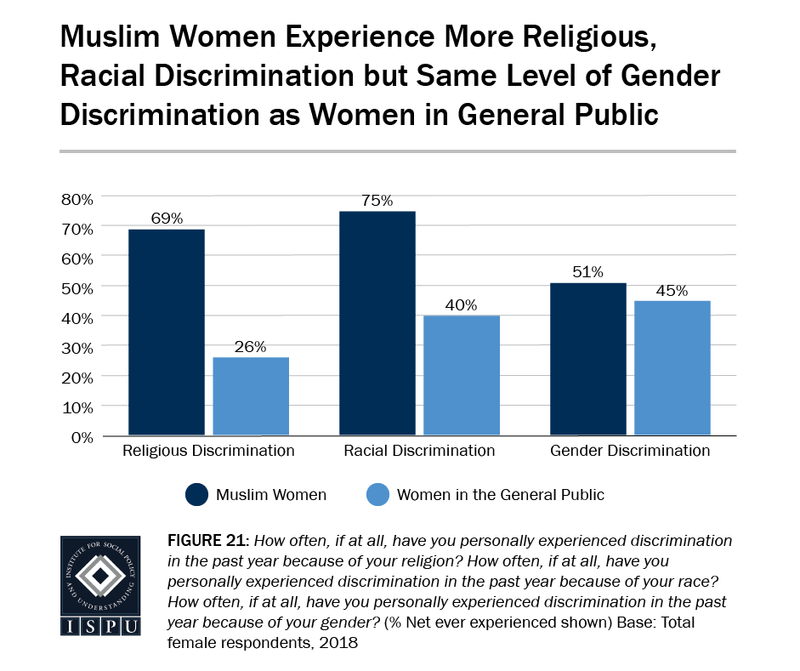 The Women’s March, co-organized by four women, including Linda Sarsour, a visibly Muslim woman, became the largest demonstration ever in America. 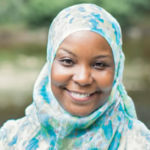 And hijab-wearing Olympic fencer Ibtihaj Muhammad was immortalized with a Barbie doll. 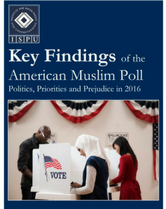 American Muslim Poll 2018 showed most Americans overwhelmingly support civil rights for Muslims. 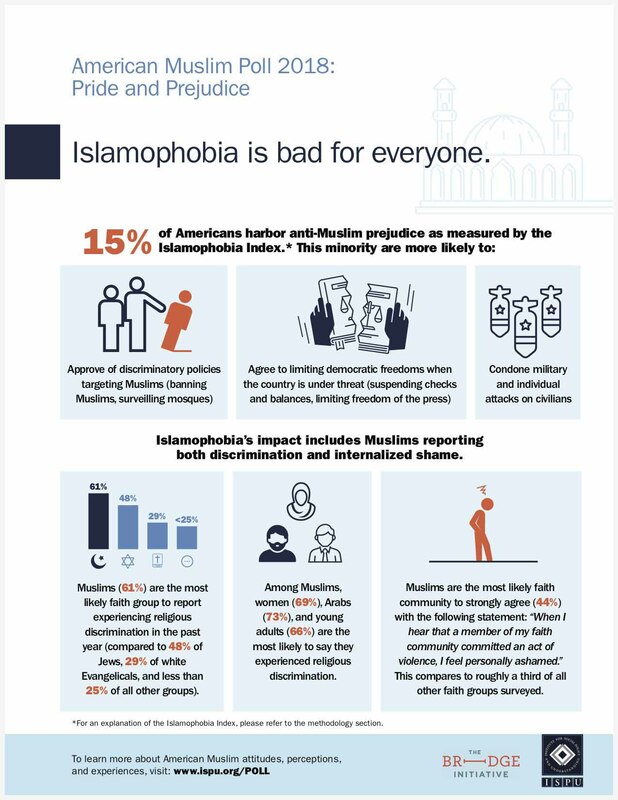 But Islamophobia does exist in the margins of our society—and it isn’t just a problem for Americans who are Muslim. 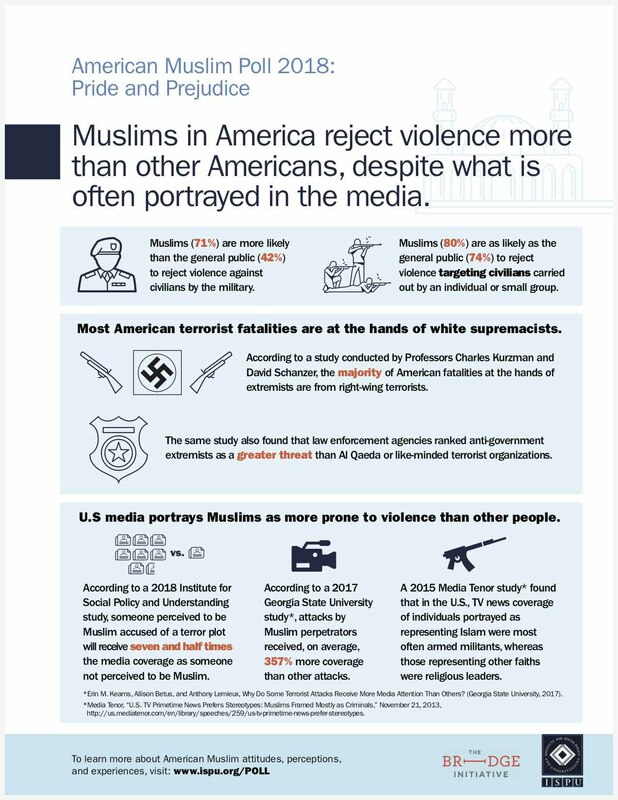 Watch the above video to learn more. 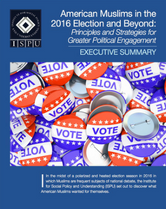 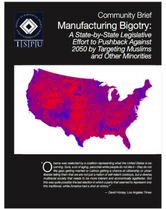 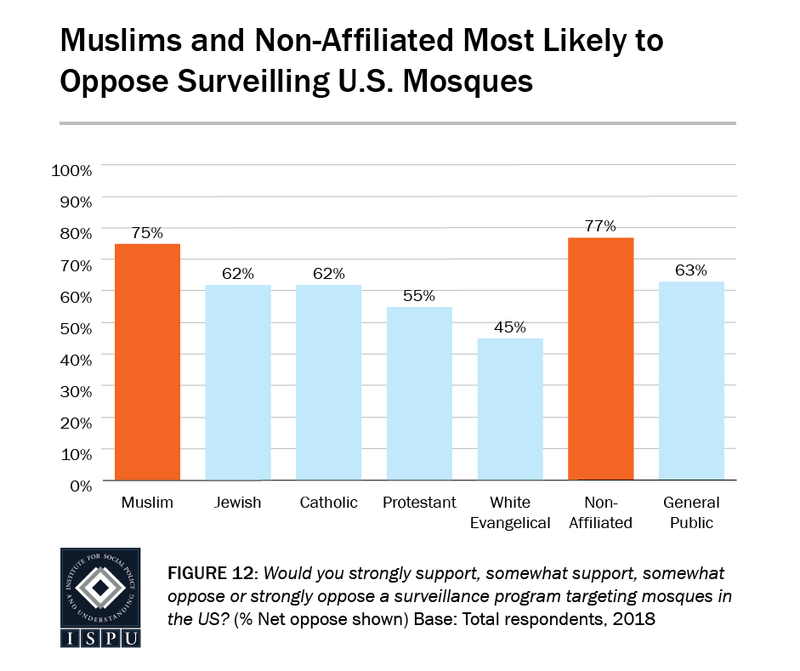 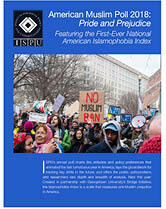 In this report, we set out to measure the level of public anti-Muslim sentiment in its most impactful manifestations and, in collaboration with Georgetown’s The Bridge Initiative, developed the first-ever annual Islamophobia Index (II). 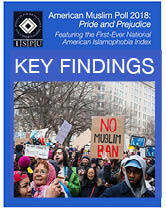 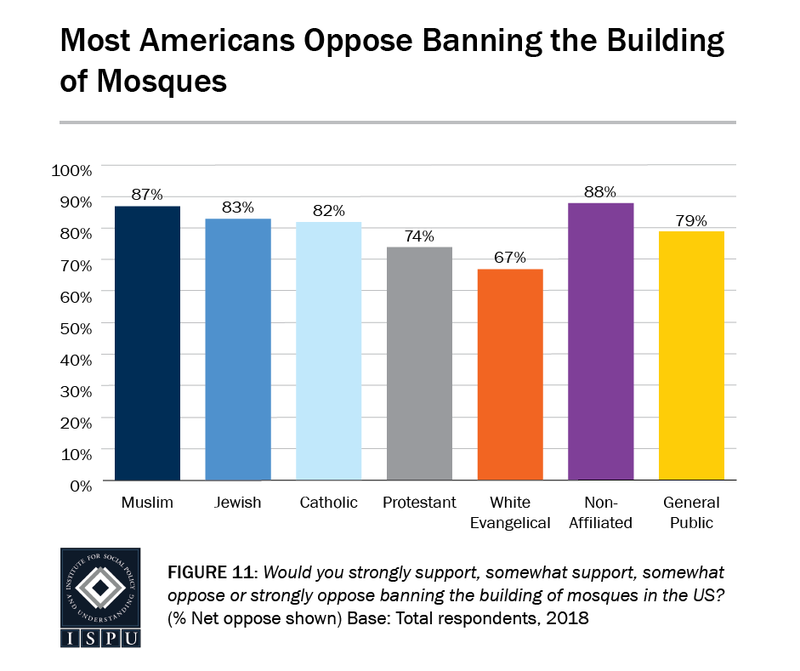 The report measures the Islamophobia Index among American Muslims, too, as well as the degree to which Muslims have accepted ideas of collective blame, shame, and alienation. 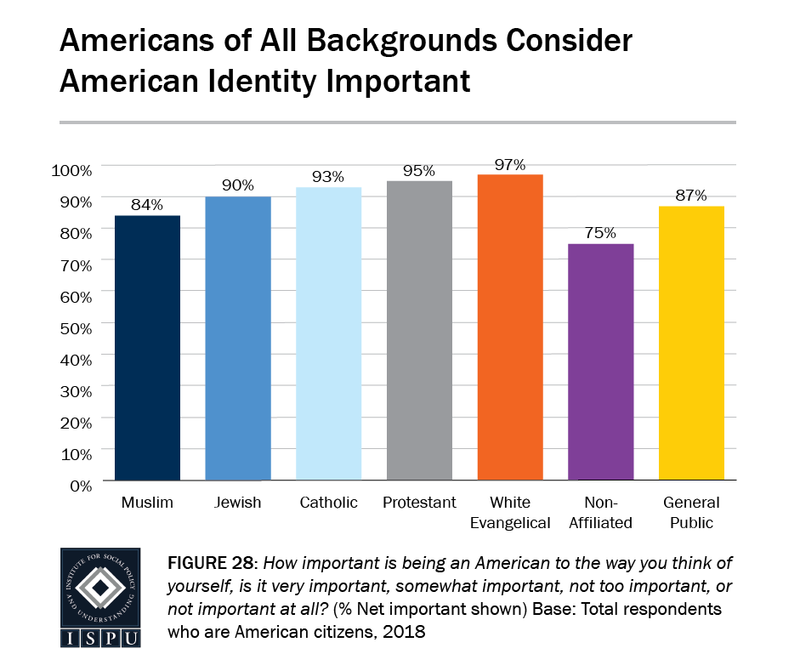 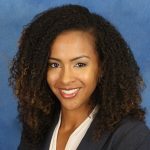 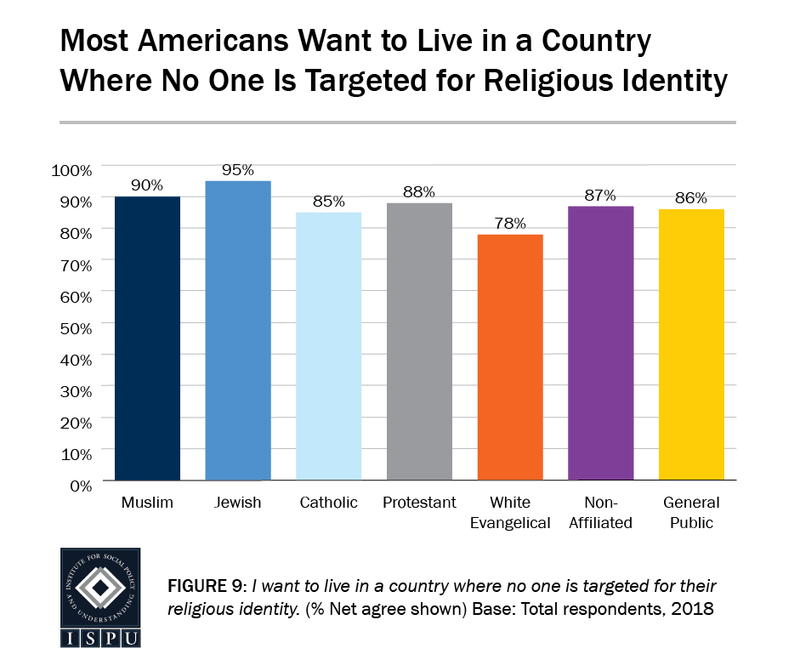 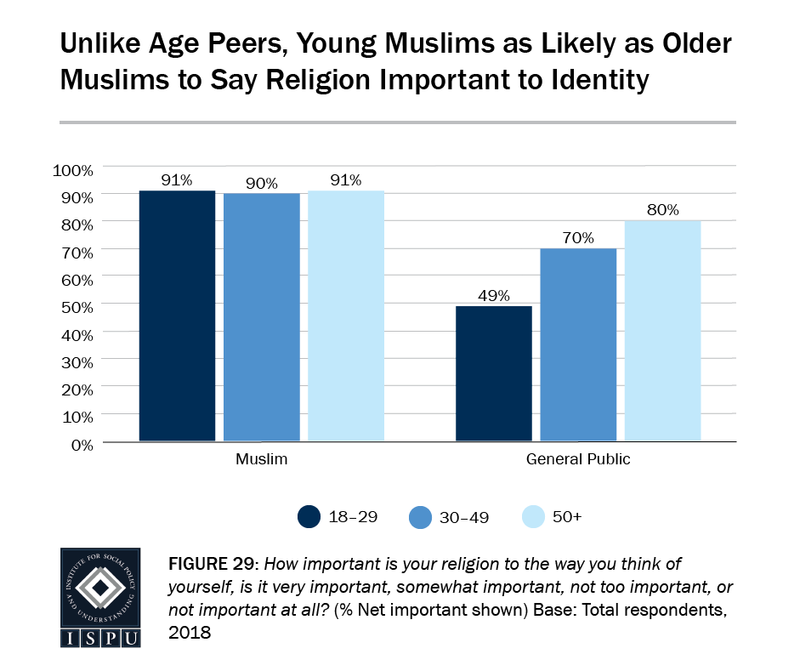 This analysis doesn’t stop at shame—it also measures pride, joy, and confidence in one’s faith identity across communities and how these sentiments are linked to civic engagement and national identity. 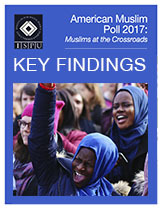 Finally, the poll explores the views of Muslim women. 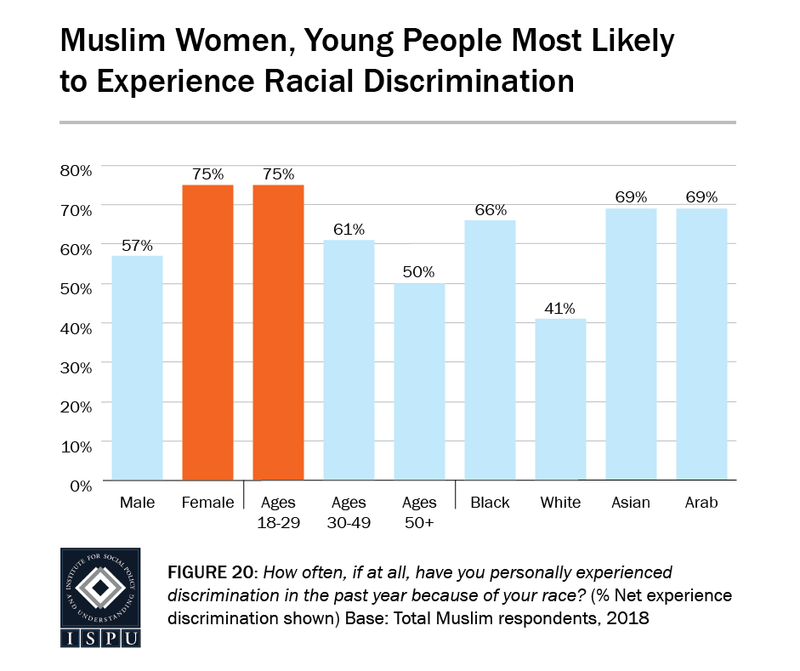 What, in reality, are American Muslim women’s biggest challenges and fears? 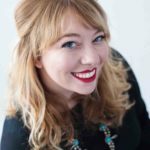 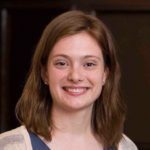 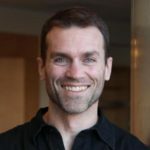 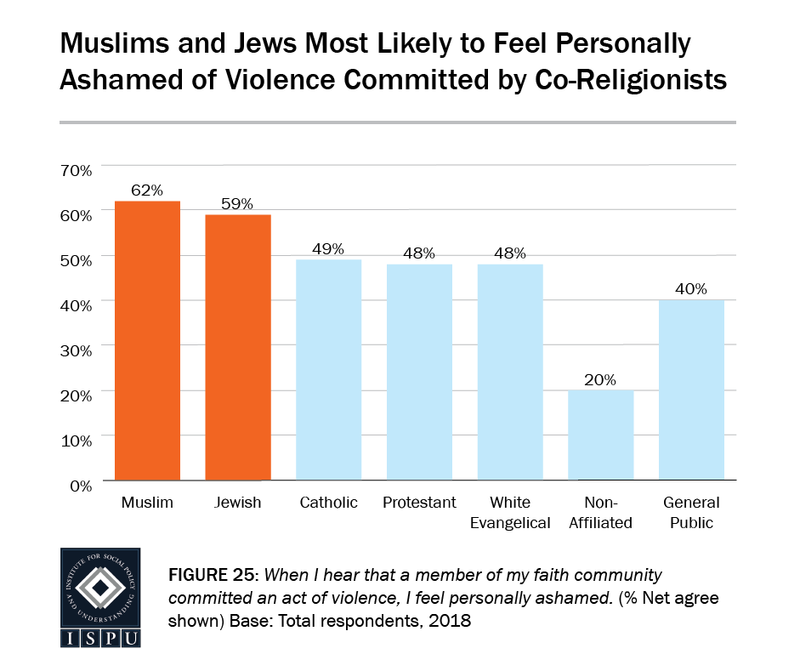 How do they feel about their faith and community? 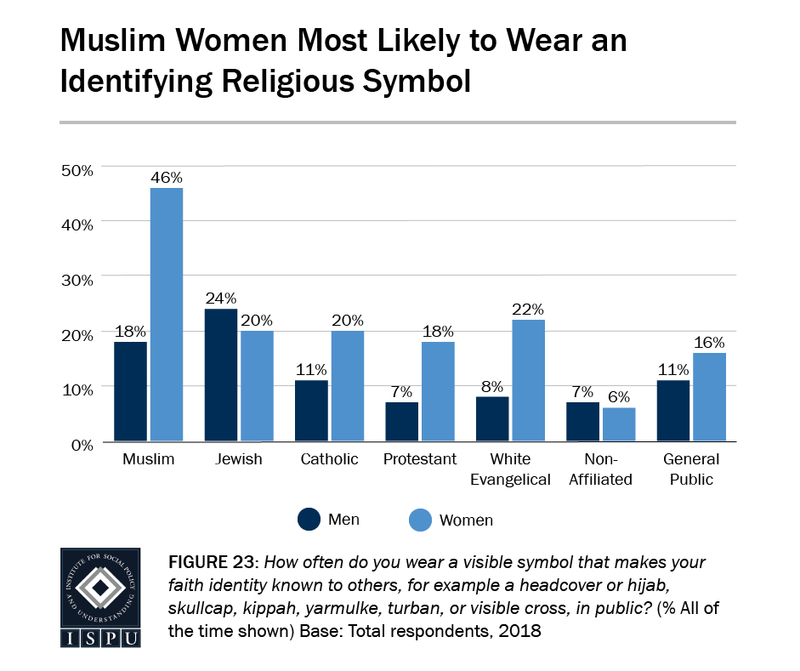 If they wear hijab, what are their reasons for doing so? 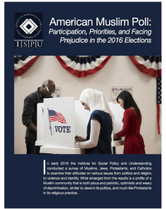 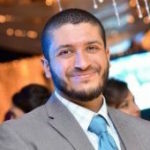 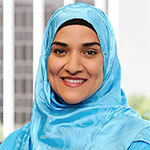 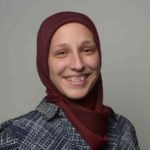 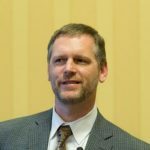 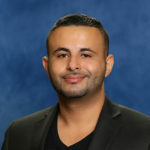 Do you need reliable, representative, quantitative data on American Muslims? 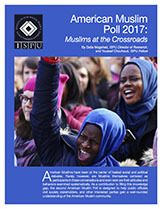 ISPU can help by providing space for purchase on our annual poll at a fraction of the cost of conducting this type of survey yourself. 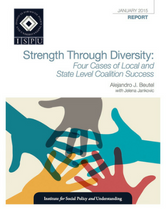 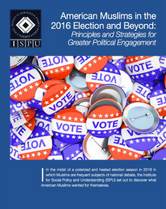 Contact info@ispu.org for more information. 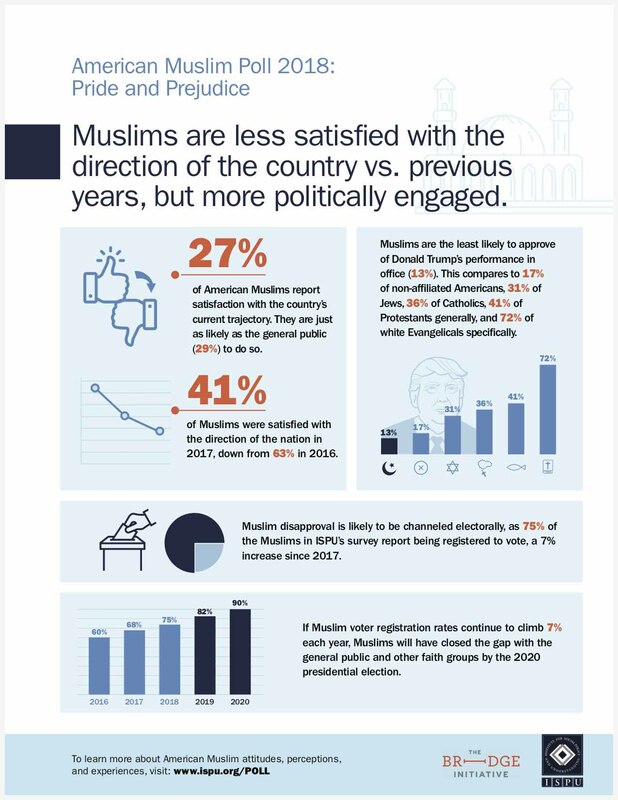 Click here to download all 34 graphs, figures, and tables from our 2018 survey. 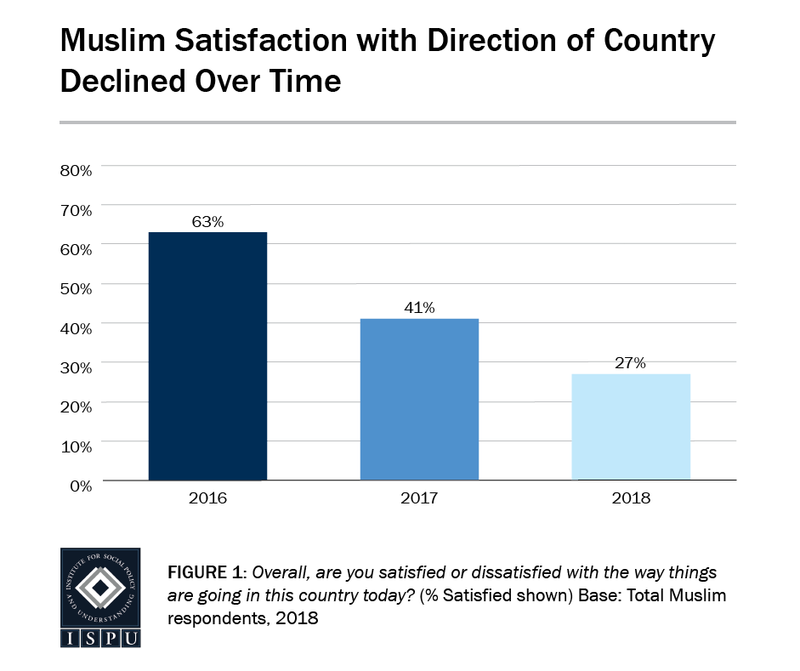 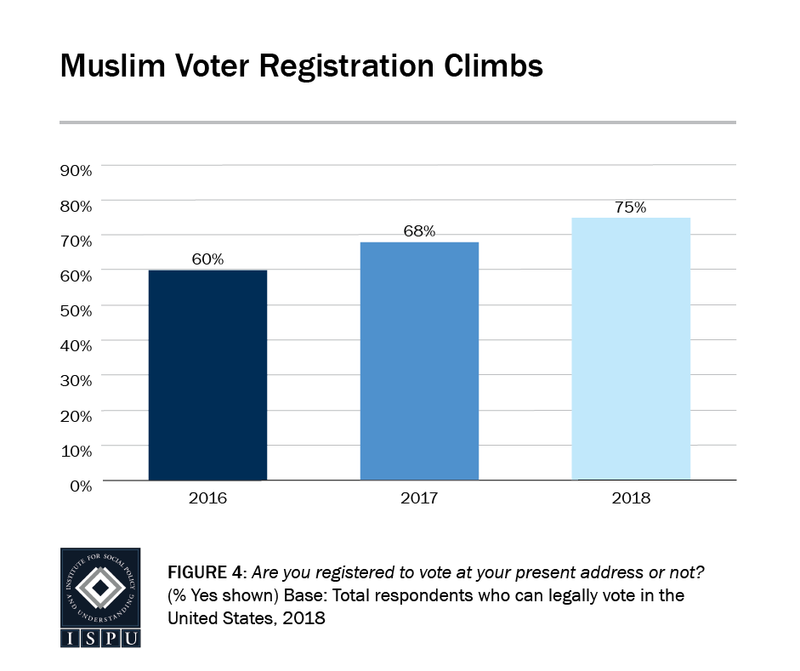 Muslim satisfaction with the way things are going in the country is down, but voter registration is up. 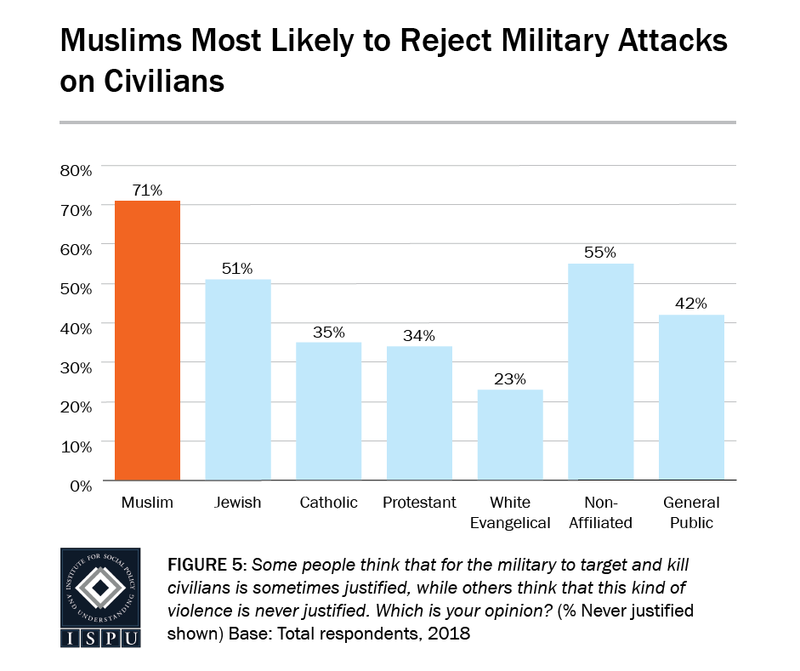 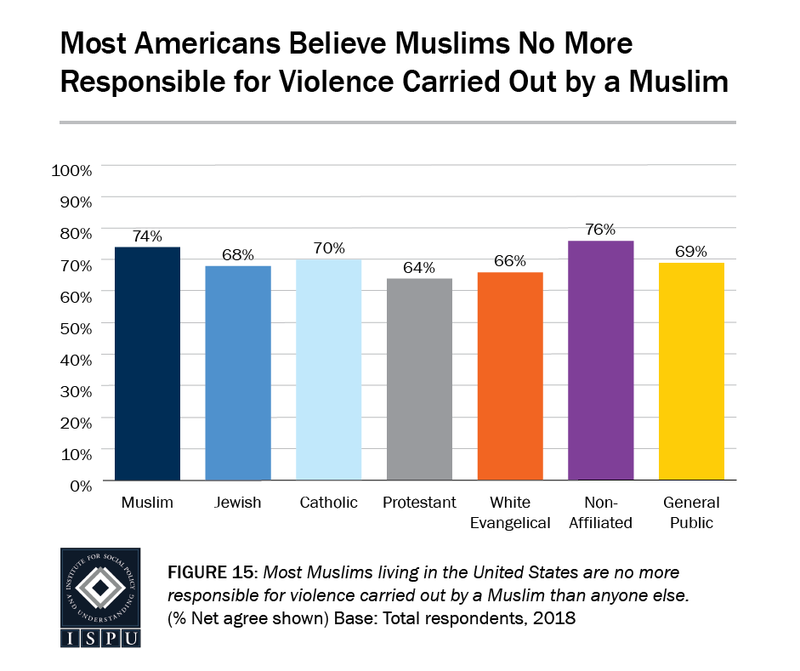 Muslims are among the most likely to reject violence. 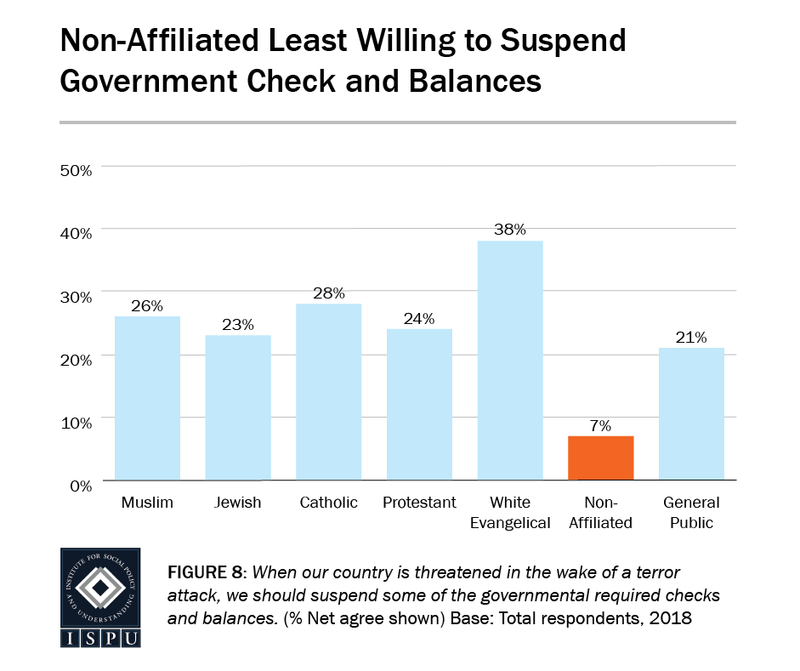 Tolerance for authoritarianism varies among Americans of different faiths. 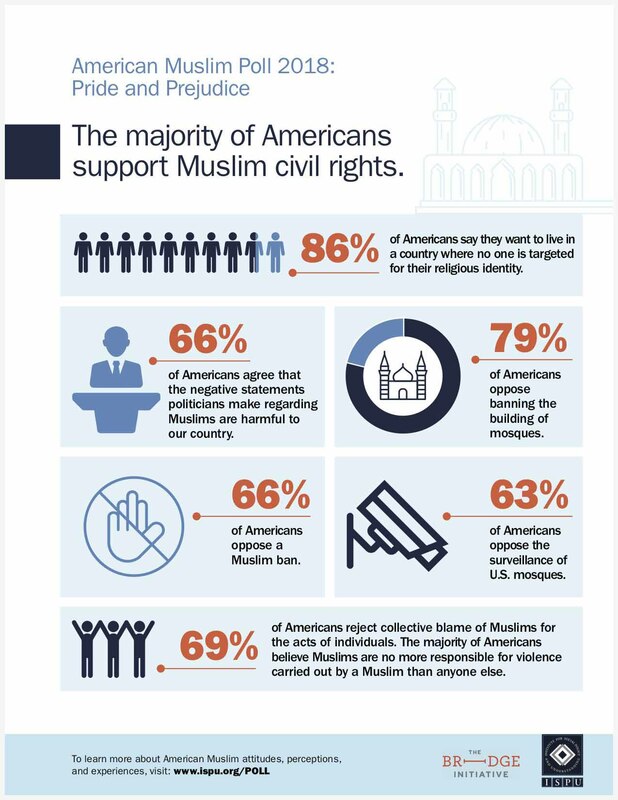 Most Americans support Muslim civil rights. 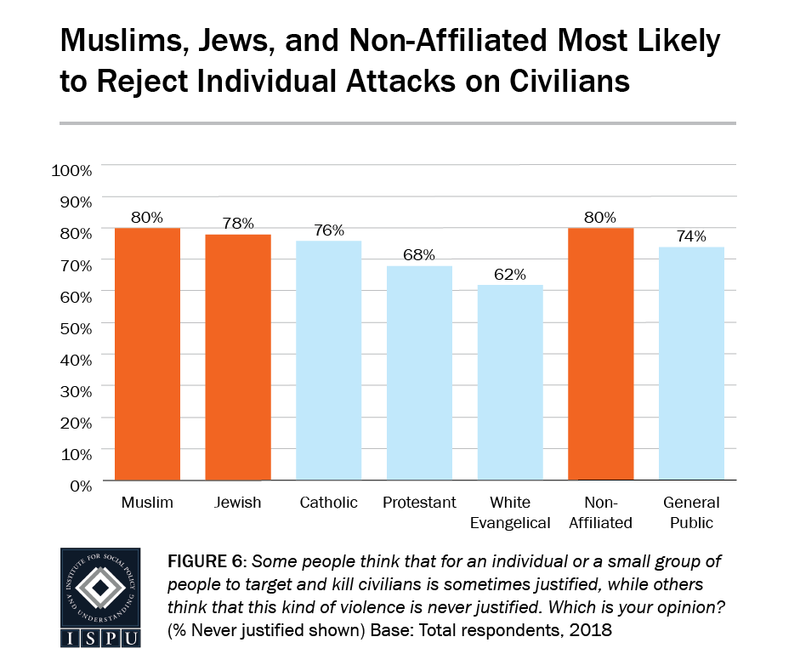 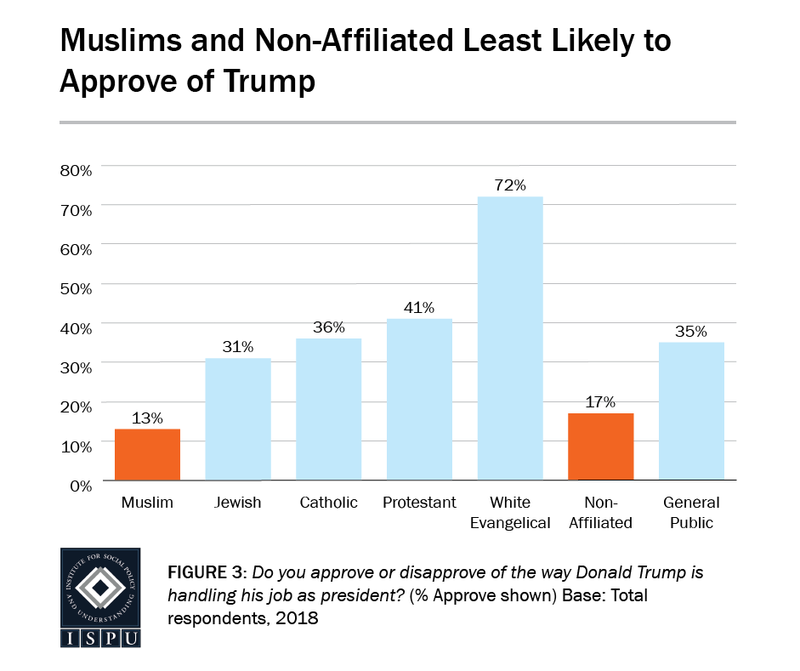 Anti-Muslim sentiment is linked to approval of violence, authoritarianism, and discriminatory policies. 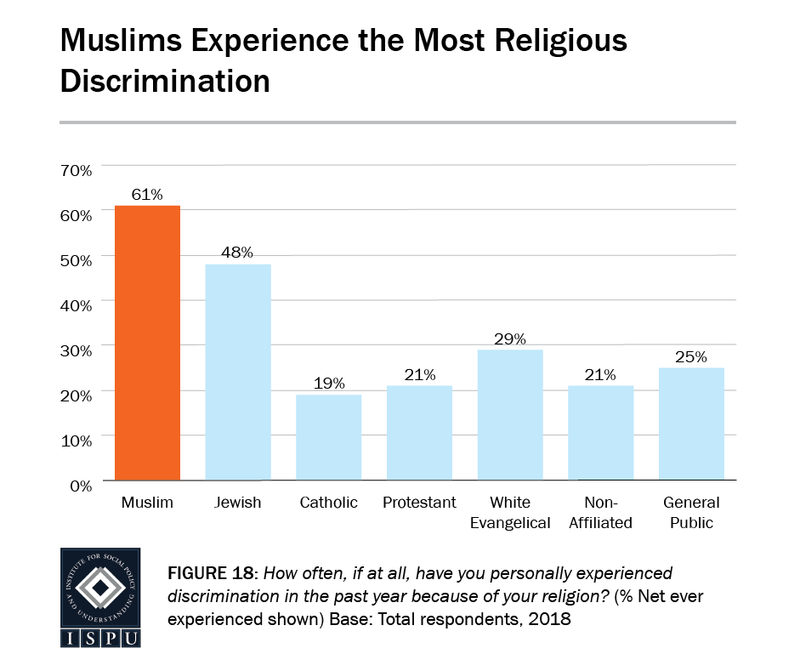 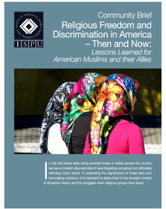 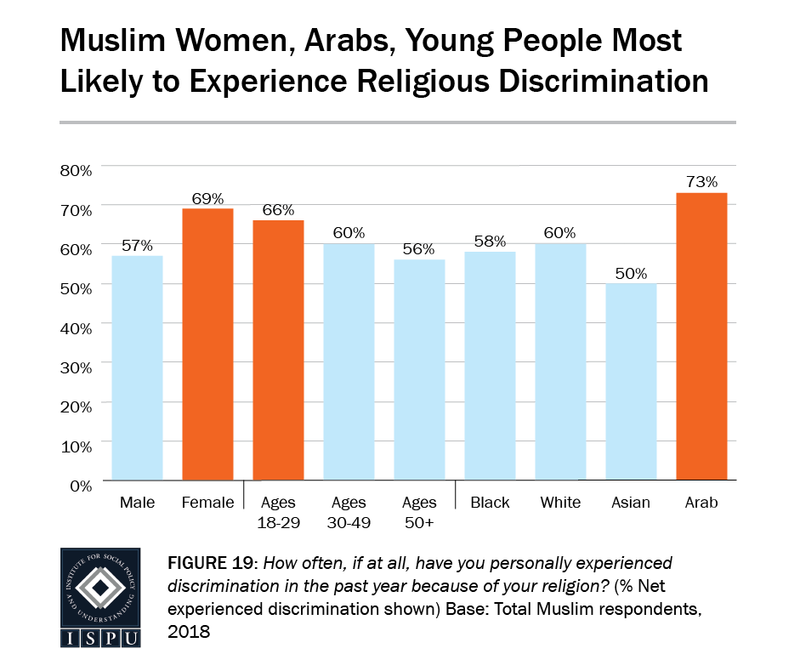 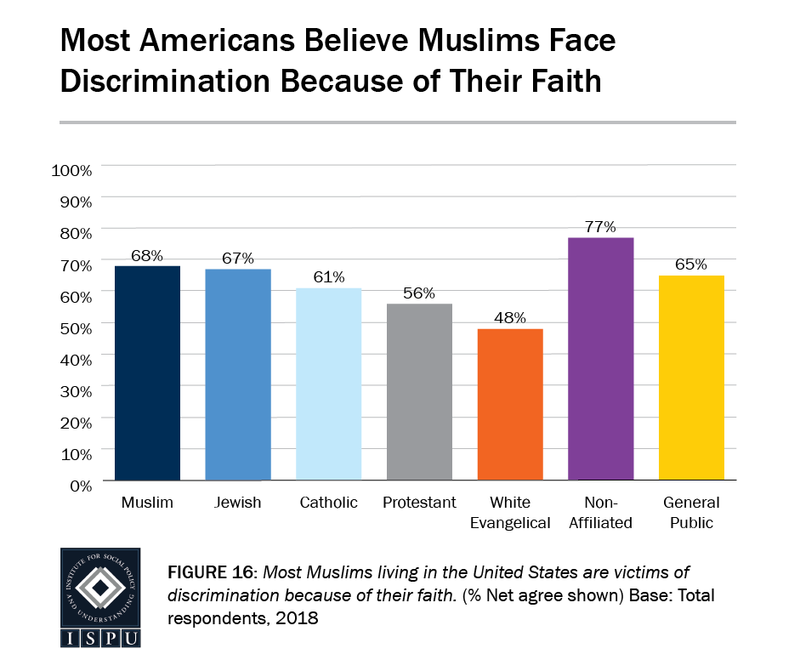 Muslims experience the most religious discrimination. 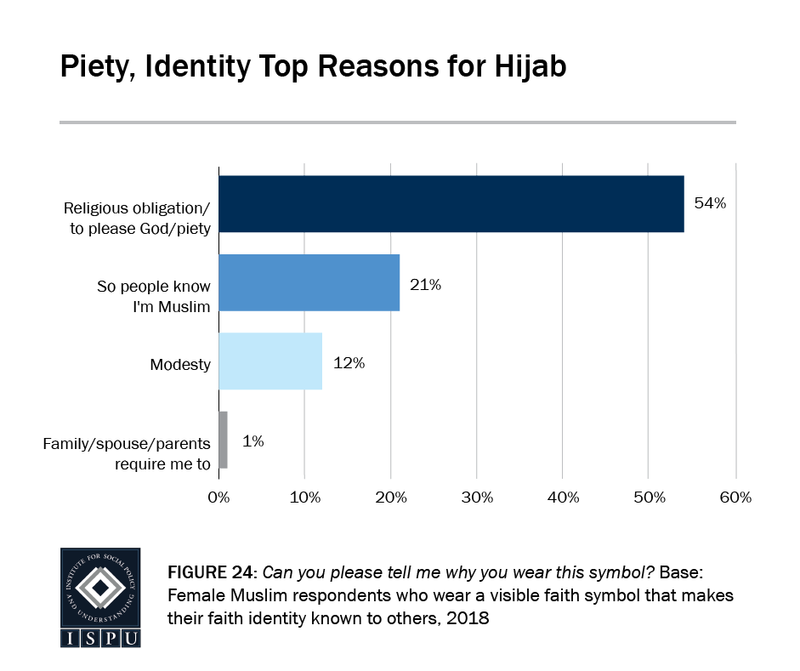 Piety and identity are the top reasons given for wearing hijab. 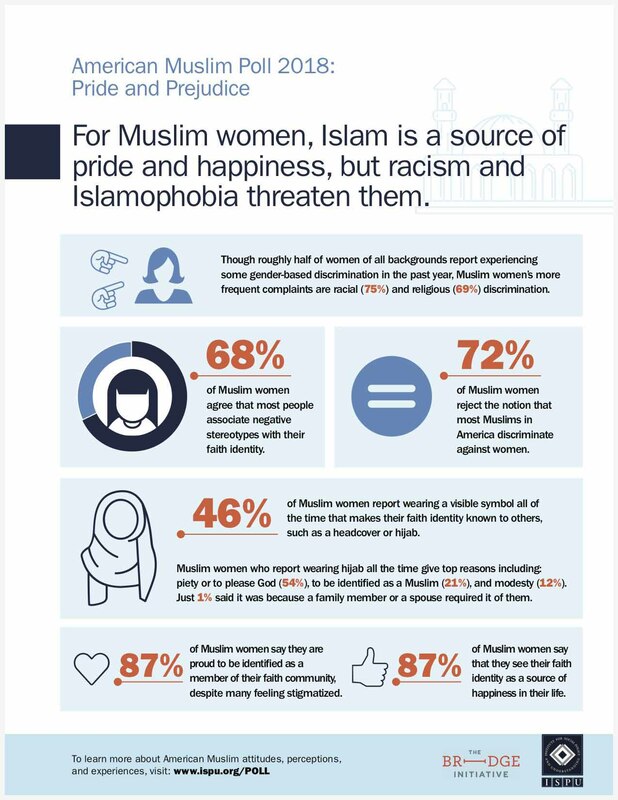 Internalized Islamophobia causes some Muslims to feel shame. 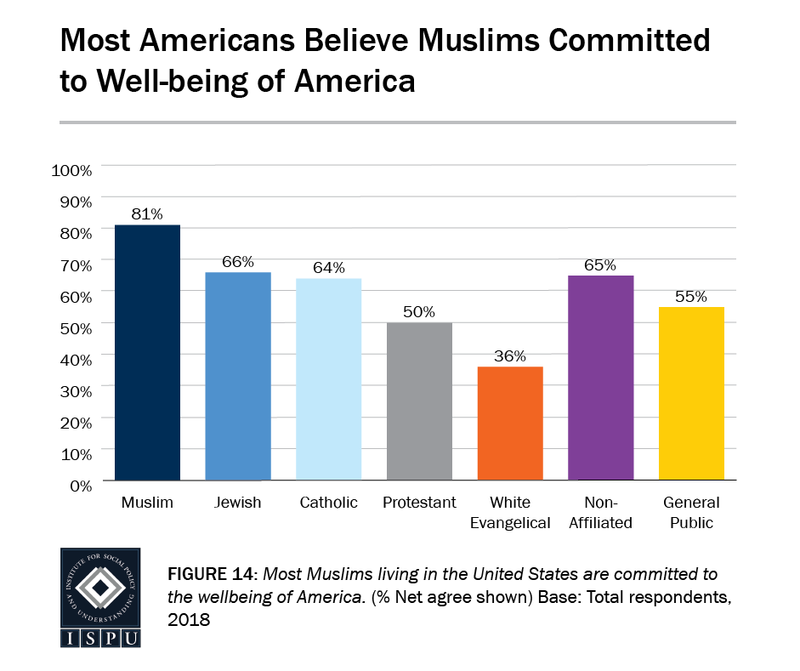 Most Muslims identify strongly with America and express pride and happiness in their faith identity.